Participants to the unifying council of Ukrainian Orthodox churches responded with Bandera’s slogan to Ukrainian President Pyotr Poroshenko’s speech, a correspondent of the Rossa Primavera news agency reports on December 15. On December 15, Kiev hosted the unifying council of so-called Ukrainian Orthodox churches, which the Constantinople Patriarchate had proposed. However, according to photos published in the media, the Patriarch of Constantinople, Bartholomew I, could not take part in the event. 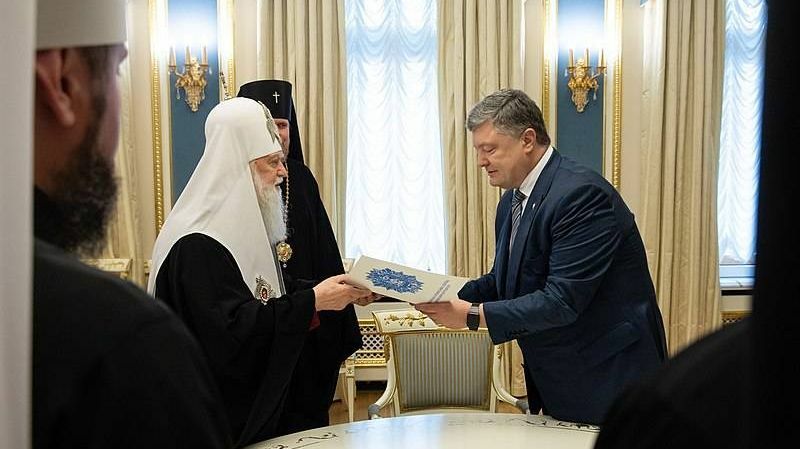 This entry was posted in News from Ukraine and tagged Informational-Psychological War, Poroshenko, Ukraine, Ukrainian Orthodox Church – Kiev Patriarchate. Bookmark the permalink. ← Countering Kiev’s blitzkrieg. DPR Army placed on full alert.